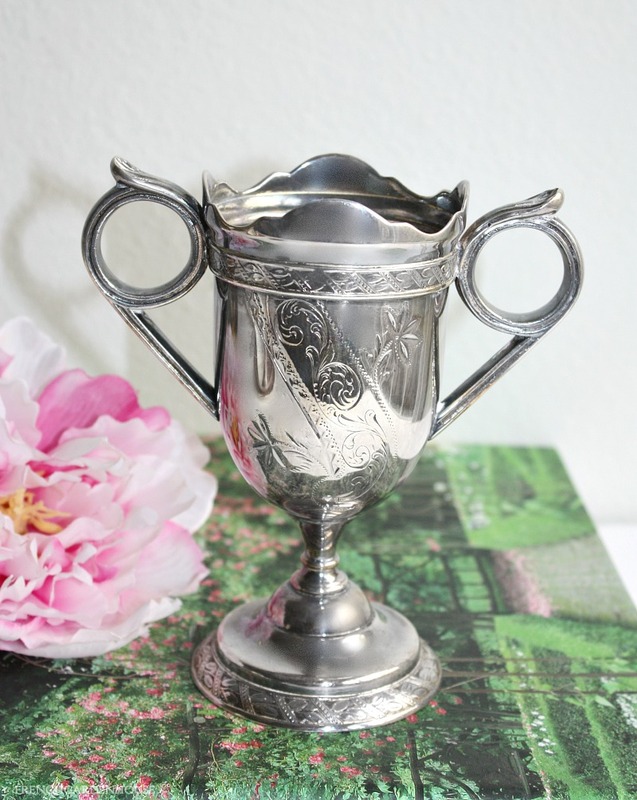 Beautiful 19th century Quadruple Silver Plate Trophy Spooner, with a decorative aesthetic design on both sides and all around the foot, made by the Aurora Silver Plate Manufacturing Company. 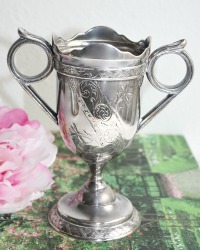 Aurora made exquisite useful silver from 1869 to 1919. The mark dates this piece to the 1890's. Shaped like a trophy with two handles, this will hold all your sterling and plated tea spoons on your tea table, or a perfect peony from your garden. 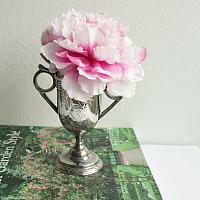 In wonderful condition, a fantastic addition to your collection of Victorian silver. Measures 6"h x 6" x 3".